Part of the "I Wonder Why" series. Each chapter of information is included on a two and a half page spread. Why two and a half? Take, for example, the Chapter on Food. At first glance it looks like a double-page spread -- with a bit of information about the food they eat on the left, a pod of dolphins circling fish in the middle, and the mouth of a Baleen whale on the right. But wait -- that middle section has some questions on it. Where are the answers? Flip the half page over and now the center of the double-page spread shows the pod of dolphins happily eating their fill of fish. And look -- the answers to the questions are now located where the questions were before you flipped. Question? Do dolphins spit out the fish bones? Answer: No. They swallow the fish whole. Dolphins cannot chew. 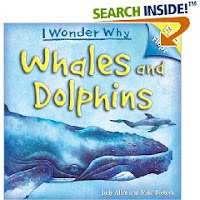 Great for reports and just pleasure reading about Whales and Dolphins. For more great NonFiction Monday blogs, click here and scroll down past the T-Rex. I'll take just a minute to describe the Newbery/ Caldecott Banquet, then go to bed. More about Sunday's ALA adventures, later. This time I lasted from 10 am to 4:30 pm at the Convention. Then, loaded with bags of books I swore I wasn't going to get this year, I stumbled back to the hotel and took a nap. The people at our table were wonderful and we had great conversations. The most amazing part of the evening were the speeches by the winners. I was hoping he'd show some of his artwork -- and wasn't disappointed. Suddenly the huge screens at either side of the room lit up with the beginning of his book -- The Invention of Hugo Cabret. Hugo sleeping. Hugo awakened by a telephone call. (1930s telephone) Next picture? A drawing of the head of the Caldecott committee on her phone. Still no words, but you know that it's "the call" telling about winning the medal. More pictures from the book -- Hugo joining the girl. But here's a change. They board a 1930's plane. 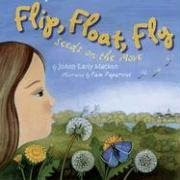 Sitting on the plane -- reading Newbery and Caldecott books. (the books are the only thing in color.) Arrive at the Hilton hotel. A horseman rides by, the kids chase it and it evolves into the Caldecott medal. WOW! Laura Amy Schlitz was equally as amazing with her Newbery acceptance speech. (yes, I'm bringing the CD of their speeches home with me to share with my library staff.) She's short. She's a storyteller. Therefore, she rejected the idea of standing at the podium to read her speech. She stood to the side and, adopting the pose of a storyteller, proceeded to tell us stories -- all of which helped illustrate how she was overwhelmed when she heard she won the Newbery medal. -- story -- rescuing a child stuck on a roof by catching her as she slid off. The child hit her like a cannonball, much like the Newbery honor. -- (having moles removed) Do you want to hear the real story or the interesting story? (the children remember the "interesting" story which is why she likes to teach history in story format, such as with her Newbery book. -- (flying a kite) The string is the most important part. We (writer, editor, publisher, bookseller -- all committed to giving the best to children) we all dance together on one string. I shared a cab to my hotel with Roland Smith and his wife. (one of my favorite writers whom I've known for many years online, but just met in person tonight) We discussed her giving the speech without notes and how she must have practiced and prepared, like the professional storyteller she is. Why do I do these when I'm so tired? Discovered the two meetings I intended to attend weren't at all as expected, so I went down to the Exhibit floor. Where I managed to snag an Unshelved cloth bag and some goodies from Penguin -- only available to the first 100 people. Examined a good many major publishers offerings, plus some of the minor ones. Saw Groundhog Day on display with an empty holder beside it. The owner of the company was at the booth. He assured me the Halloween book had been there this morning. I guess someone snagged it. We had a nice talk. Although the library isn't paying for this ALA trip, I still feel obgligated to attend a good many meetings. But I made a few wrong choices today. For example -- I got all excited about one that said it was about Wordless books. But it turned out to be about adult Graphic novels presented by a professor who teaches the history of comic books. I skipped out of that and caught the end of the Reader's Theatre presentation. Spent the next hour trying to see how it could be used in a public library. School librarians in the audience loved it. Much debate about how to guide or model the procedure. Interesting. Then I caught the bus to the Disney Grand Californian. We bloggers were invited to party with the Feiwel and Friends publishers in a suite there overlooking part of Disneyland. (the California Adventure part) Very nice people. As our time came to a close, the room filled up with important librarians and some of the Feiwel and Friends authors. We bloggers moved our party to an Italian resturant and talked until 9 pm. What about the family members who visited the American Girl Store. They called me several times on the cell phone discussing which doll to buy. The older grandchild settled on Elizabeth, Felicity's friend. And the younger grandchild (who is dog crazy and whose family raises dogs) now has the dog, Coconut clutched in her sleepy fingers. Both girls are presently wearing the PJs that match those of the American Girl, Julie. Yes, they are pinkaholicks, so of course they wanted the pink PJs for themselves. They then went over to the movie theatre to watch the world premier of Kit, An American Girl movie. Not only did they enjoy the movie, but they were given Kit t-shirts for themselves AND their doll plus other doll clothes. It's only 11 pm here, but I think I'll sign off now. For video adventures of happenings at this ALA go to Betsy Bird's Blog. She's determined to videoblog the whole thing. I'm sure she videotaped the Feiwel and Friends party. Betsy wore a red dotted sundress to the event. If you see another red dress in her video, that's me. I can see that the official Blogger date/ time still is on Maryland time -- but I'm in California now -- so yesterday's message actually was done Thursday and this one is Fridays -- no matter what day Blogger thinks it is. The girls began the day swimming in their Aunt's swimming pool. Then we packed the car and chugged up to Los Angeles area -- Anaheim, home of the original Disneyland. Their plan -- woosh off to Disneyland. My plan? Lunch. Unpack. Organize the room. (Kids Suite. Yeah! Master bed for my daughter and her husband. Bunk beds for the two grandchildren. And a separate room for grandma -- me!) All at a comparatively low ALA rate. This evening I attended the traditional Booklist sponsored event. This event often has sponsored discussions by authors and illustrators. But this year it featured a brand new ALA award -- The Odyssey Award for sound recording of a printed book. The Odyssey Award is given to the best audiobook produced for children and young adults available in English in the United States. The committee listened to 400 autiobooks -- over 2,000 hours of listening. The Odyssey Award is named after the blind poet Homer's epic poem, The Odyssey, which researchers agree was originally told and retold in the oral tradition. The Odyssey Award allows us to return to the ancient roots of storytelling, while living in our modern world. The featured speaker and one of the originators of the award was Bruce Coville, author of over 90 books, who also is a professional storyteller and who runs his own audiobook recording company -- Full Cast Audio. And all around nice guy. We heard parts from all of the honor recordings, plus one from the winner -- Jazz -- poetry written by Walter Dean Myers, illustrated by his son, Christopher Myers and the audiobook was published by Live Oak media. Jazz also won the Coretta Scott King Award. Hmm. The Disneyland folk have not gotten back, yet. I hope that means that they're having a great time. They said it couldn't be done. But I did it. Taking two grandchildren, who don't live together, on a flight across the country to visit an Aunt and Uncle that one of them had never seen. It's now 9 am California time -- midnight Maryland time -- and are they zonked out in bed? NO. They're over at the swimming pool. I'm the one ready to zonk out. "Take a breath and blow on a fuzzy dandelion. Whee!" Who of us hasn't done this? And when You grew up, did you scold your own children for doing this? After all, the fun of blowing a cloud of dandelion seeds has concenquences -- it helps scatter the seeds so that more dandelions can grow, far enough from the mother plant so they don't crowd each other. That's the theme of this book. How plants make sure their seeds scatter to new places. Large double page illustrations show how each type of seed manages to find new homes. From maple tree helicopters and exploding seedpods, to the hooks on the Burdock seeds that attach themselves to clothing and fur. Wow, I've been blogging for a year. Remember last year when I complained that no one would sing the Beatles' song to me? Am I comfortably retired and enjoying life with grandchildren? I'm gainfully employed and have a second job writing books for children. I get home for a few days in July and immediately take off for Vermont to take a 16 credit, 6-month course about Picture Books. Me-- retire? I have no time to retire. I've got to get ready for my birthday dinner at my favorite steak place. You may have noticed that most all of the nonfiction books I review for Nonfiction Monday are easy reading, almost picture book type nonfiction. I plan to continue doing this -- unless, of course, some super-duper larger/ longer book bops me on the head and says, "me! me! review me!" -wendieO, who has (almost) survived the first week of the Summer Reading Program at my library. Each two-page spread has similar questions on the left, with a four-inch circle showing something on black background on the right. No, it's not a hole cut out like the Tana Hoban books. It's printed on the page. This should mean that this book will stand up to wear better than the Hoban books do. Those books keep getting torn around the holes -- as if kids and parents are putting their fingers in the holes to turn the pages. Turn the page and you see a page and a half picturing a Sand Dollar. The remaining half page contains a short description of it. And so it goes throughout the book. 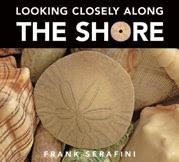 Good for curious kids who like to learn more about what can be found along the coastline shore. Available now. I have 13 books published. When I arrived at work today, I found myself the only librarian there. The other librarian scheduled to work had sick children. We keep a list of people who are willing to substitute/ to fill in when we have vacations or sickness. I called every one on the list and every one of them had a reason they could not come in and work today. One of the substitutes reconsidered. Even though she lives almost a hour away, she said she could make it to my library by 1:00. Fine! Wonderful! I could manage to wait for my lunch break until then. But the most LUCKY thing of all? A bit of background information. Another blog, called Buried in the Slush Pile, is written by an editor of a small press in Texas. A week ago she held a contest -- send her a pitch for a book. The winning pitches would be invited to submit to her publishing company. "You are my grand prize winner." !!! I ran down the hall, rapped on the bathroom door and shouted the news to my husband. (who promptly cut himself shaving.) Just a little bit excited (and flattered by her comments in the e-mail) was I. So, Friday the 13th was again, an up and down day. 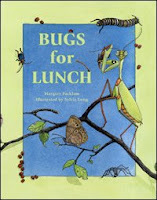 Bugs for Lunch by Margery Facklam, illustrated by Sylvia Long, Charlesbridge - 1999. Goodness, 1999 and still going strong? I guess it's because we librarians keep celebrating Bugs during our Summer Reading Program, like we are doing this year. We're going to Catch the Reading Bug. Each two page spread contains one stanza of verse about the animals and their dinner. (see sample above from the Charlesbridge webpage.) Just wait while the listening children relax and enjoy the book, then hit them with the last stanza -- Children eating Bugs! "Yuck" again. Additional information about the bug-eating animals (and plants) on the last pages. Comes in paperback, hardback, Follettbound, and also comes in straight Spanish or Spanish/ English. Are you a weekday or a weekend blog reader and/ or blog writer? I come home too pooped to ponder on a blog. Therefore, I often blog during the weekend when I have more energy. What's your blogging reading or writing habit? Why are children so cheerful in the morning? We can hardly drag ourselves from bed, but the 8-year old is there -- pulling on our arms, making sure we get up. She wants to go to the before-school-care early. That way she can do crafts until bus time. Wake up. Wake up. Why can't children understand about air conditioning? I spent several hours this morning cleaning the air conditioners, closing windows and doors, cleaning fans. Finally all was ready and I turned the air conditioners on. No sooner than I had done so, than the 8-year old opened doors and windows -- she had been practicing gymnastics in the living room and was "hot" and wanted a cool breeze. Then she went upstairs into her room and closed the door. By the time I discovered her bedroom door closed, her room was 20 degrees hotter than the hallway. Close windows and the doors to the sunporch. Why don't children go to sleep at night? I actually had a teacher call to scold me about one of my children not getting enough sleep at night. Was I keeping her up too late? Sorry lady, I get the kids to bed. They're the ones who refuse to actually GO TO SLEEP. And the 8-year old? yup. She reads at night. By the light of the lamp post. By the light of a half-working flashlight that I thought I had thrown away long ago. By the light of a thing she got from McDonalds -- looks like a compact but has a light in it instead of face powder. Should I object that she's reading? Today I gave a storytime and told several Pre-K classes about the Summer Reading Program. Tomorrow the whole school. Wednesday, another school. Thursday, I need to plan all the programs for September, October, November because I have just Thursday and Friday to get them into the database. In addition I'll begin the set-up for Summer Reading -- just two weeks until it begins. No, there's no pressure/ stress when you're a children's librarian. All those fun programs we enjoy doing, need to be planned four months ahead. December. Do you realize I just finalized the date of the Santa Brunch? Yup. And I have to set up all the preparation for it now -- because it gets advertised in the Fall program guide. Today, I also gave two other librarians an overview of what they need to know about doing Summer Reading Program visits to schools, because these other two have never done them. Went off to the next Pre-K visit. When I came back -- there was my Summer Reading Assistant. She'd heard that I was panicking (who me?) and came to assure me that she'd be able to report to work on the end of the week -- she just can't work for a few days. Whew! Stress relieved. And that was my Monday. How was yours?